Adding color to your wardrobe was never this fun. 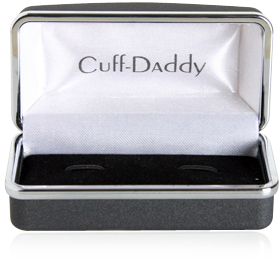 Our line of Double Ball Cufflinks is designed to help you make an impression wherever you go. When you think Pastel Blue, you know you are staying ahead of the fashion curve. 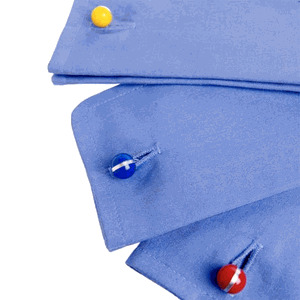 Make a style statement and let out your fun personality with these chic Pastel Blue color nylon and brass cufflinks. This is one color that will never go out of style for boys, and well, boys should always be boys! There's something retro about these cufflinks that I really like. 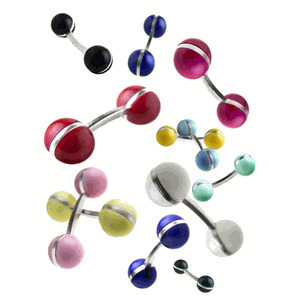 They remind me of planet or molecule displays from mid-century science museum displays. The shade of pastel blue is nice as well.